"You have blown me away! I can honestly say I expected a vision that is far from anything I've seen, because Clever Mutt™ is the best, however, I in a million years never thought that designing a web site could complete my vision as this product is special to me for a number of reasons, but to tell the world EXACTLY what I feel and for them to openly share it... you are incredibly gifted." 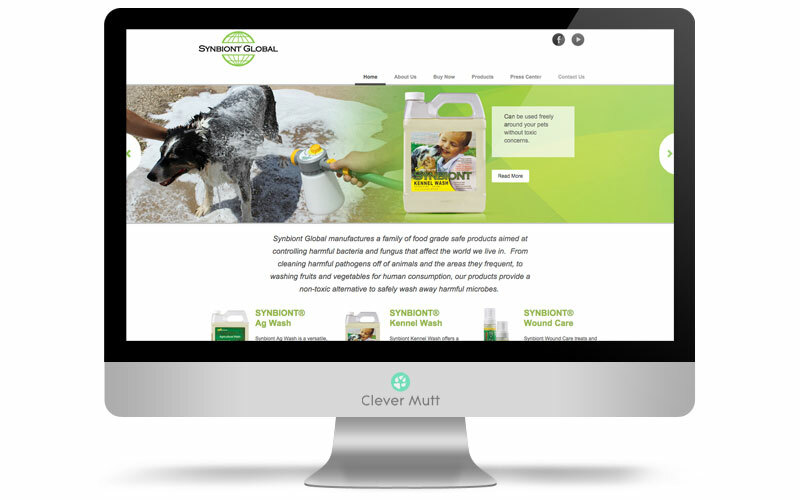 Synbiont Global hired Clever Mutt™ to provide a series of CMS powered websites with shopping capability, logo / brand redesign and email marketing tools for the Synbiont Global family of products; including Synbiont Ag Wash, Synbiont Kennel Wash, Synbiont Wound Care and Synbiont Fruit and Vegetable Wash.
Synbiont Global manufactures a family of food grade safe products aimed at controlling harmful bacteria and fungus that affect the world we live in. 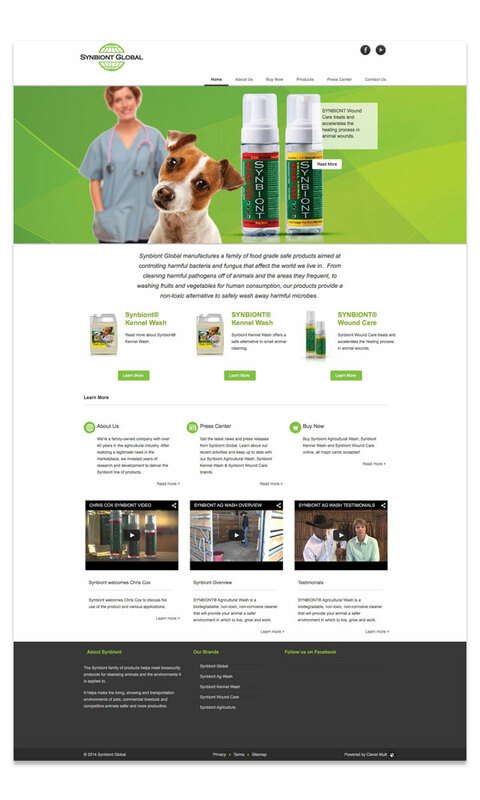 From cleaning harmful pathogens off of animals and the areas they frequent, to washing fruits and vegetables for human consumption, our products provide a non-toxic alternative to safely wash away harmful microbes.